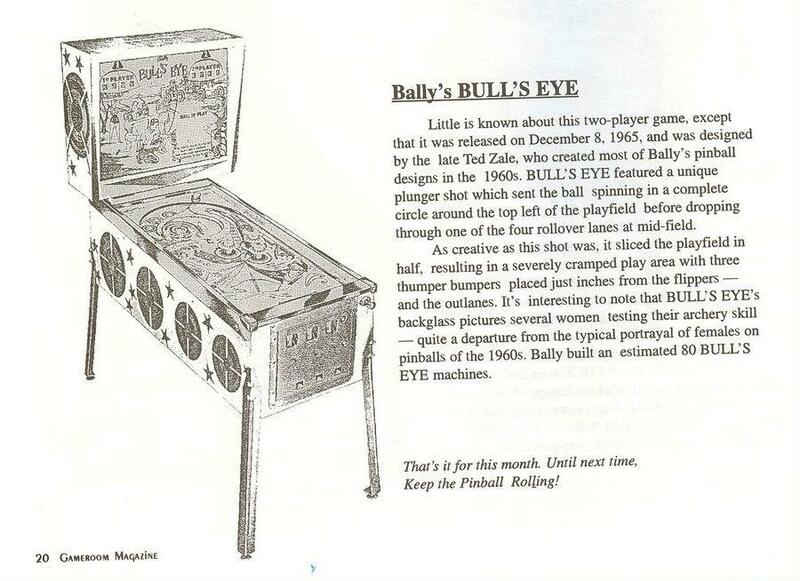 Description: 1965 Bally Bulls Eye pinball machine, Bally, 12/65, two player. Electro-mechanical pinball machine. 80 units made.